Demi Lovato and Iggy Azalea headlined the very first VEVO Certified SuperFanFest together last year and immediately bonded. 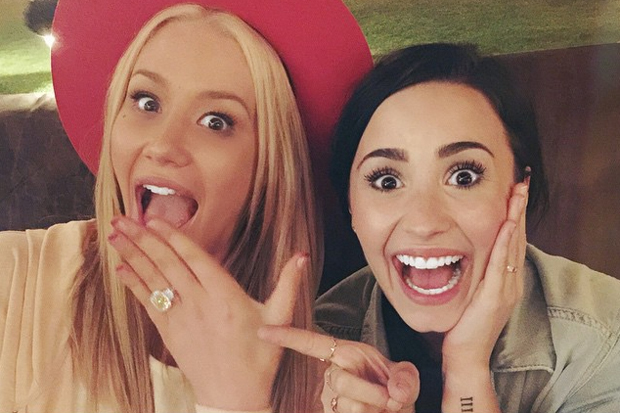 Since that intial meeting, they have become such tight friends that the “Cool For The Summer” songstress not only attended Iggy’s engagement party, but also agreed to be one of her bridesmaids! If the collab becomes a real thing, it would be Azalea’s third major pop feature after Ariana Grande’s “Problem” and Britney Spears’ “Pretty Girls.” We’re definitely here for this. Are you excited for the divas’ collaboration? Let us know!